By default, Microsoft Outlook blocks images in emails due to security concerns. It's possible to download images you think are safe only for specific emails, but this can prove to be a hassle if done frequently. The following instructions contain a one-time fix. In Outlook, navigate to "File" > "Options". In the options window, select the "Mail" tab. 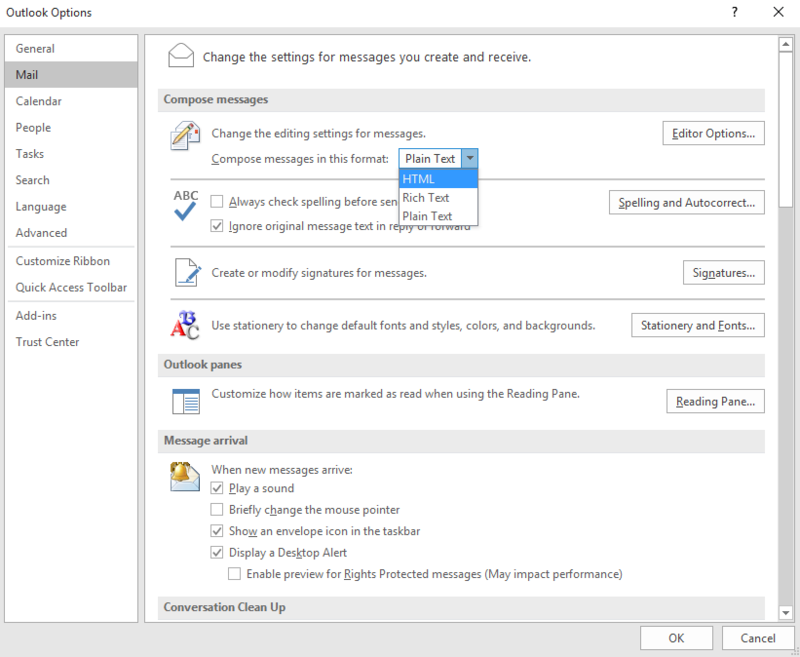 In the drop-down menu under the "Compose messages" header, select either "HTML" or "Rich Text". Under the "Trust Center" tab, click the "Trust Center Settings" button. Within the Trust Center, navigate to the "Automatic Download" tab and uncheck the box next to "Don't download pictures automatically". 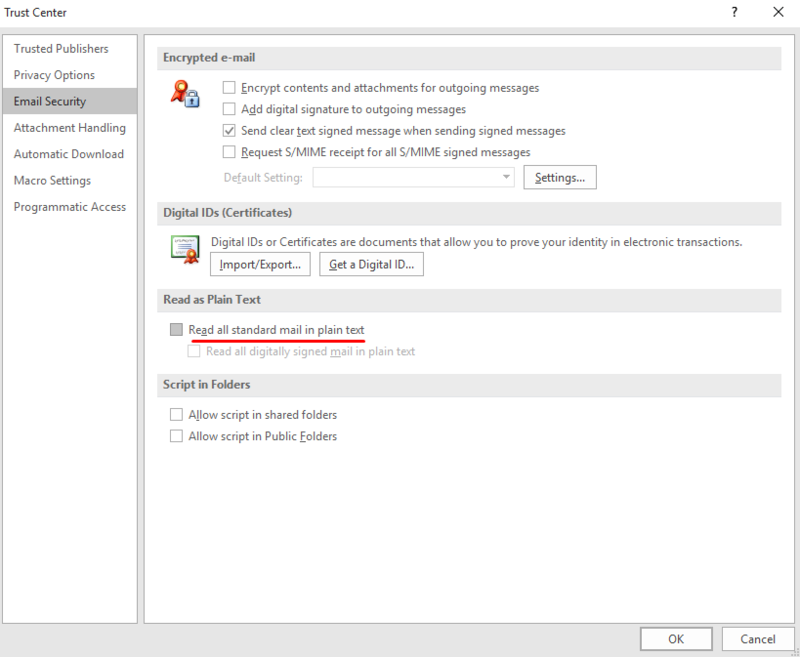 Under the "Email Security" tab, uncheck the box next to "Read all standard mail in plain text". 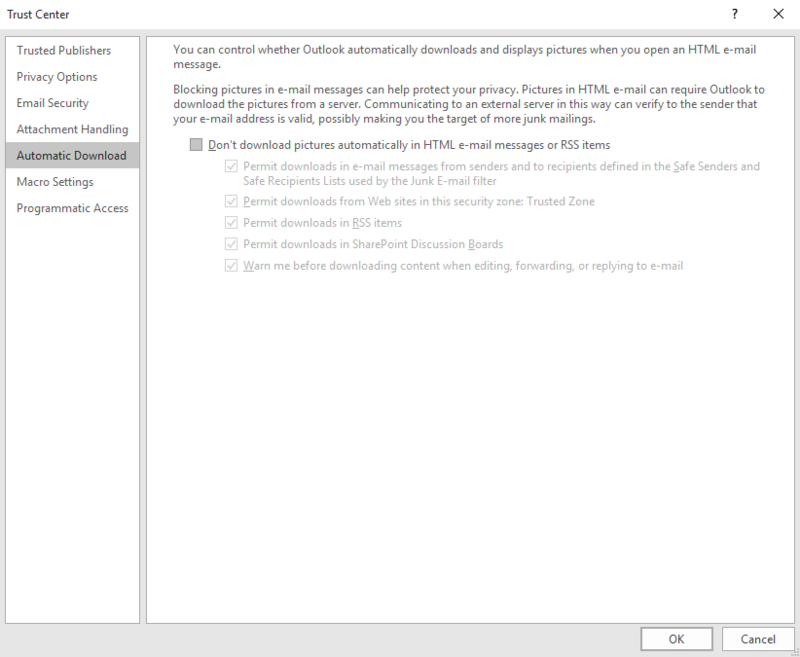 Click "OK" on both windows to save your settings and return to Outlook.